Euston is an area north of the Euston Road A501, extending from Regent’s Park to the west and to the area near St Pancras International station to the east. The original grand station at Euston with its huge arch built by William Cubbitt in 1835 was demolished in the early 1960’s and was replaced with the current station, which opened in 1968. In 2014 Network Rail announced a £12.5m redevelopment of the current station providing more space and easier access for the 40 million passengers using the station every year. The real benefit of an area like Euston is its close proximity to the very different areas of the West End and Camden, allowing businesses to enjoy a varied array of local amenities from international cuisine, places of interest, parks, cinemas and theatres. The area has undergone extensive redevelopment along the Euston Road with the addition of a new hospital and many new office buildings adding over 500,000 square metres of additional space. Looking for serviced offices in Euston, London? The Euston area offers a variety of suitable office locations. It has attracted many businesses because of its proximity to St Pancras International allowing easy access to Europe on the Eurostar. The addition of Crossrail at close by Tottenham Court Road station will provide speedy access to the City of London and the west of London when the new station opens. Euston is close to residential areas and is home to a variety of businesses in the finance, media, transport, pharmaceutical and hospitality sectors. 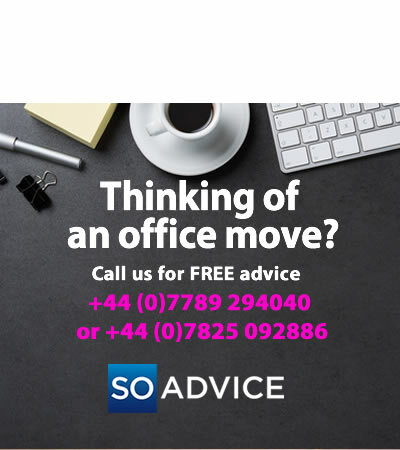 There are around 74 Serviced Office Centres within a mile of Euston and SO Advice can help you make the most informed choices. Euston is close to a number of areas that may offer an alternative location for your business. 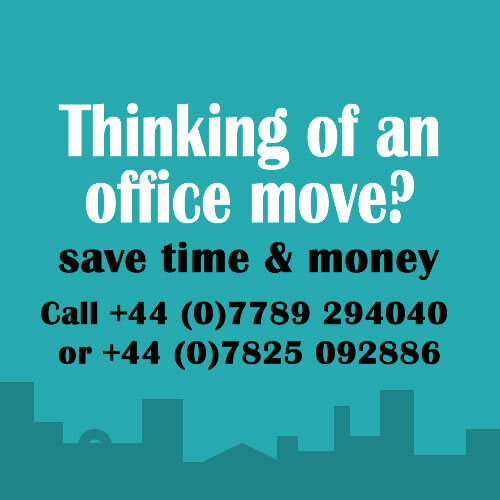 We have selected several options that we think are worth considering for your new office space. Covent Garden: £600 – £900 Excellent transport links and close proximity to shops, cafes and restaurants make Covent Garden an excellent area for consideration. Oxford Street: £500 – £800 This world famous shopping destination is also home to many businesses in the media, fashion and business services sectors. King’s Cross: £600 – £900 With easy access via mainline or Underground stations, King’s Cross has seen extensive redevelopment. Mayfair: £750 – £1200 A prestigious location in the heart of Central London, close to shops and well served by transport links. 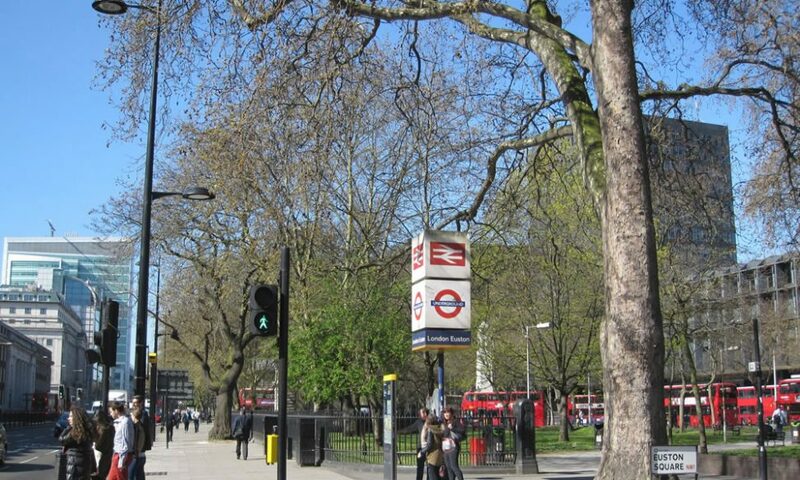 Euston is ideally located for easy access to the West End. It’s a short walk to the shops and cafe’s of Tottenham Court Road and a few stops on the Tube to the department stores, boutiques and fashion brands located on Oxford Street and Regent Street. Office space in Euston benefits from several local green spaces in the area. Regents Park and ZSL London Zoo are within walking distance. The delights of Camden are less than a mile away, offering an array of international cuisine like South African food at Shaka Zulu and Pan Asian at Gilgamesh. Plus plenty of the usual chain restaurants and cafes you would expect to find in London. There are also several highly rated night clubs like Underworld. Towards the rear of Euston station, along Cardington Street you will find St James’ Gardens, a green space with trees and benches making it an ideal place for time away from the office.